Results of the election in each of the ten electoral districts of Croatia: the party with the plurality of votes in each electoral unit. Parliamentary elections were held in Croatia on 11 September 2016, with all 151 seats in the Croatian Parliament up for election. The elections were preceded by a successful motion of no confidence against Prime Minister Tihomir Orešković and his cabinet on 16 June 2016, with 125 MPs voting in favour of the proposal. A subsequent attempt by the Patriotic Coalition to form a new parliamentary majority, with Minister of Finance Zdravko Marić as Prime Minister, failed and the Parliament voted to dissolve itself on 20 June 2016. The dissolution took effect on 15 July 2016, which made it possible for President Kolinda Grabar-Kitarović to officially call for elections on 11 September 2016. These were the ninth parliamentary elections since the 1990 multi-party elections. The elections were contested by the two largest parties in the outgoing eighth Parliament; the Croatian Democratic Union (HDZ), led by Andrej Plenković, and the Social Democratic Party (SDP) led by Zoran Milanović. The SDP contested the election as part of the People's Coalition, consisting of the SDP, HNS, HSS and HSU. They were also challenged by a number of other parties and coalitions, including the Bridge of Independent Lists (Most), which held the balance of power after the 2015 elections. The incumbent Prime Minister Tihomir Orešković, a non-partisan technocrat, announced that he would not be running on any party's candidate list and would not seek reelection. The election resulted in a victory of HDZ with 61 seats in the parliament, while the People's Coalition won 54 seats. Andrej Plenković started talks about forming a governing majority with Most, which won 13 seats. Zoran Milanović announced his withdrawal from politics after the defeat. A few weeks after the election HDZ and Most concluded talks on forming a government, which would also include the 8 Members of Parliament representing national minorities. On 10 October 2016 Plenković formally presented 91 signatures of support by MPs to President Kolinda Grabar-Kitarović, therefore far more than the necessary majority of 76 signatures and he was thus made Prime Minister-designate with a 30-day mandate to form a government until 9 November 2016. The 9th Assembly of the Croatian Parliament was constituted on 14 October with the election of Most leader Božo Petrov as Speaker. On 19 October a parliamentary vote of 91 in favor, 45 against and 3 abstentions formally confirmed Croatia's 14th government cabinet since the first multi-party elections in 1990, with Andrej Plenković as Croatia's 12th Prime Minister. The new cabinet consisted of 20 ministers, including Goran Marić, a minister without portfolio who was on later tasked with leading the newly formed Ministry of State Property. Following the 2015 elections a government was formed by independent businessman Tihomir Orešković who was supported by the conservative Patriotic Coalition, led by Croatian Democratic Union (HDZ), and Bridge of Independent Lists (MOST). However, HDZ put forward a motion of no confidence on 16 June, with 125 of 151 MPs voting in favor of the motion. The HDZ sought to form a new government with Minister of Finance Zdravko Marić as Prime Minister, however it was clear that he would not get support of 76 MPs. On 20 June MPs voted to dissolve parliament effective on 15 July, resulting in snap elections being called by President Kolinda Grabar-Kitarović, who called for elections on 11 September. The 151 members of the Croatian Parliament are elected by three methods; 140 are elected in ten 14-seat constituencies by open list proportional representation using a 5% electoral threshold, with seats allocated using the d'Hondt method; 3 are elected in a special constituency for Croatian citizens and people of Croatian descent living overseas; and 8 are elected from a constituency for ethnic national minority groups: 3 for Serbs, 1 for Italians, 1 for Hungarians, 1 for Czechs and Slovaks, 1 for Albanians, Bosniaks, Macedonians, Montenegrins and Slovenes, and 1 for Austrians, Bulgarians, Germans, Jews, Poles, Roma, Romanians, Rusyns, Russians, Turks, Ukrainians and Vlachs. Campaigning for the early parliamentary elections officially began on 16 August 2016 and ended at stroke of midnight between 9 and 10 September 2016. An election silence officially commenced at that time and lasted until 19:00 local time on election day (11 September) when voting officially ended. All electoral activity, such as distributing or exhibiting promotional materials near polling stations or encouraging voters to vote for a certain political party, coalition or candidate is prohibited during the duration of the election silence and is punishable by law. On 12 August a television debate hosted by Croatian Radio Television (HRT) featured SDP and People's Coalition chairman Zoran Milanović and HDZ chairman Andrej Plenković. According to a poll taken by daily newspaper Jutarnji List of 36.700 of its readers, 58% of those taking part answered that Milanović had been the more convincing of the two candidates and had won the debate, while 42% said the same of Plenković. However, some 87% of the 6.000 readers taking part also stated that the television debate had not greatly altered their political views. Readers were also asked to assign a grade (on a scale of 1 to 5) to each of the candidates, with 9.000 people taking part and giving Plenković an average grade of 3,36, while Milanović received an average grade of 3,23. The main issues in the electoral campaign included fostering economic growth achieved after a six-year recession (2008-2015) and both major parties, the SDP (in government 2011-2016) and HDZ (in government from January 2016) claimed that economic recovery was begun during their period of government and that it was the result of their policies. Other issues included the halted education reform initiative, which was due to be tested in selected Croatian schools in late 2016 and the debate over ending political polarization caused by differing views on Croatia's role in the Second World War and the resurgence of extreme far-right ideologies in Croatian society. Numerous parties competing in the election called for an end to divisions caused by a continuing debate about the roles of the Ustaša and Communist regimes in Croatian history and questions relating to whether both regimes should be considered to have been authoritarian and to have committed certain war crimes on ethnic or ideological grounds. Furthermore, an important issue of the campaign was how to regulate Croatia's relations with Serbia. Some of the most important aspects of this debate included the controversial criminal law adopted by Serbia, by which it unilaterally declares itself to have criminal jurisdiction over all war crimes committed on the territory of the former Yugoslavia. Under this law Serbia has issued a large number of arrest warrants for numerous Croatian veterans of the Croatian War of Independence, including numerous prominent political leaders and army commanders. Another issue which was also discussed was whether to use the blocking of Serbia's accession negotiations with the European Union to put pressure on the Serbian government to repeal the controversial law. Less prominent issues in the campaign included the negative demographic trends in Croatia, mostly relating to a large number of Croatian citizens migrating to other countries to seek employment (among them many young highly educated citizens), diminishing birth rates, the depopulation of certain parts of the country due to poor economic and social conditions, as well as the growing median age of the population. Results by municipality, shaded according to winning party's percentage of the vote. The elections yielded a surprise victory for the conservative HDZ, though most opinion polls had predicted the People's coalition would have the largest share of seats in Parliament. The People's Coalition's unexpected defeat was, among other things, attributed to the release of a confidential audio recording of former Prime Minister and coalition chairman Zoran Milanović speaking at a private meeting with Croatian war veterans. In the recording Milanović used numerous derogatory terms, calling Serbs ʽʽpitifulˮ and stating that ʽʽBosnia and Herzegovina is not a countryˮ and it is thought that these statements undermined support for the People's Coalition among minority voters. The HDZ, which had trailed the People's coalition in opinion polls for over two months prior to the election and was thought to be facing certain defeat, managed under its new leader, MEP Andrej Plenković to shed the image of being a corruption-engulfed right-wing party for a more Europe-oriented centrist one. Low turnout is also thought to have contributed to the unexpectedly large number of seats won by the HDZ, as their voters and supporters were expected to have a high turnout rate on election day. After the election Milanović announced that he would not stand for reelection as party chairman of the SDP in the upcoming leadership election. Following the conservatives' victory, the stock market reacted generally favourably to the election results. It is considered likely that the next governing majority will be formed by a coalition of the HDZ and the centre-right Most party, which once again gained the role of kingmaker. However such a coalition would also need the support of additional parties to command a majority of seats, which is also a prerequisite for naming a Prime Minister-designate, who is given a 30-day mandate to form a government by the President. In the event of a HDZ-Most coalition government, Andrej Plenković as chairman of the HDZ is thought to be the most likely candidate to become the 12th Prime Minister of Croatia. National minorities elected 8 representatives through a separate election system: Milorad Pupovac (84,55% of votes), Mile Horvat (63,68%) and Boris Milošević (60,04%) for the Serb national minority, Róbert Jankovics (53,02%) for the Hungarian minority, Furio Radin (72,65%) for the Italian minority, Vladimir Bilek (84,43%) for the Czech and Slovak minorities, Veljko Kajtazi (53,16%) for the Austrian, Bulgarian, German, Jewish, Polish, Roma, Romanian, Rusyn, Russian, Turkish, Ukrainian, Vlach minorities and Ermina Lekaj Prljaskaj (25,31%) for the Albanian, Bosniak, Macedonian, Montenegrin and Slovene minorities. Six of the eight representatives of national minorities from the 8th Assembly of Parliament were reelected, while Šandor Juhas (Hungarian minority) lost his bid for reelection and Mirko Rašković (Serb minority) did not run for another term. Three Members of Parliament were elected by Croatian citizens living abroad in an overseas constituency. Traditionally, the HDZ is heavily favored to win all three seats, however in this election Željko Glasnović, who ran his own independent party list, won one seat in Parliament. Following the announcement of election results late on 11 September 2016 it was thought that there could be a repeat of the long-lasting and somewhat tumultuous talks that followed the previous election. Namely, as yet again no party or coalition had gained an absolute majority of 76 seats, coalition talks would be required between the two larger parties (HDZ and the People's Coalition) and the numerous smaller parties to form such a majority. However, the opposition SDP-led People's Coalition conceded defeat after winning only 54 seats in Parliament. Its leader, former Prime Minister Zoran Milanović, ruled out running for reelection to his party's chairmanship, effectively also ruling out any possible attempts to form a governing majority, thus allowing the HDZ to begin talks with the Bridge of Independent Lists (Most), its junior partner in the outgoing government led by the non-partisan Prime Minister Tihomir Orešković. Most set out seven conditions for entering into a government with any party and Plenković began discussions lasting several weeks with Most representatives. Plenković also held talks with the 8 representatives of national minorities, as HDZ and Most would not have a majority without their support. Over the next few weeks several other parties, including the HSS proceeded to give their support to a government led by Plenković. However, it is widely viewed that HSS chairman Krešo Beljak agreed to give Plenković the support of his party's 5 MPs and "100 days of peace before turning into the sharpest opposition" in order to calm tensions resulting from a dispute between him and HSS MEP Marijana Petir, who had called for HSS to enter the center-right government to be formed by HDZ and Most instead of remaining a part of the People's Coalition as an opposition party. The dispute escalated and Beljak proceeded to suspend over 100 members of the party, including Petir. Plenković further received the support of the Milan Bandić 365 party, one out of two HSU MPs and one former member of Human Blockade. He formally received 91 signatures of support from MPs on 10 October 2016, far more than the necessary 76, and presented them to President Kolinda Grabar-Kitarović, who named him Prime Minister-designate and gave him 30 days time until 9 November to form a government. On 14 October Parliament constituted its 9th Assembly since 1990 by electing Most leader Božo Petrov as the 11th Speaker of Parliament. On 19 October Andrej Plenković was confirmed as the 12th Prime Minister of Croatia along with his cabinet of 20 ministers by a vote of 91 in favor, 45 against and 3 abstentions among 151 Members of Parliament. His government received the support of MPs belonging to the HDZ-HSLS-HDS coalition, Bridge of Independent Lists, Milan Bandić 365, HSS, HDSSB, SDSS and 5 representatives of other national minorities. ^ Pavlic, Vedran. "Croatia Elections 2016: Final Results - HDZ 61, SDP 54 Seats". Total Croatia News. Total Croatia News. Retrieved 13 September 2016. ^ Plucinska, Joanna (16 July 2016). "Croatian president calls snap election". POLITICO. Retrieved 16 September 2016. ^ "HDZ predao liste, Glasnović ipak odustao"
^ "Milan Bandić Presents His Coalition"
^ "Predstavljeni novi predsjednik i novi članovi predsjedništva Akcije mladih". Akcija mladih (in Croatian). Retrieved 16 September 2016. ^ "Croatia Votes Again in Parliamentary Elections :: Balkan Insight". Balkan Insight. Retrieved 16 September 2016. ^ a b Pavelic, Boris (8 September 2016). "Croatian election fuels regional tensions". EU Observer. Retrieved 16 September 2016. ^ "Mystery man hoping to rule Croatia". POLITICO. 11 August 2016. Retrieved 16 September 2016. ^ "Croatia at a crossroads between the past and the future - Ifimes". IFIMES. Retrieved 16 September 2016. ^ "Croatian parliamentary elections 2016: voters reject the centre-left's tilt to the right". 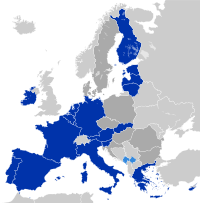 EUROPP. 12 September 2016. Retrieved 16 September 2016. ^ a b c Milardovic, Andjelko. "Snap vote outcome startles Croatia, HDZ chief Plenkovic real winner - analyst". SeeNews. Retrieved 13 September 2016. ^ Pavlic, Vedran. "Zoran Milanović Will Not Run for Another Term as SDP President". Total Croatia News. Retrieved 16 September 2016. ^ "Croatia's share indices open higher following conservatives election win". SeeNews. Retrieved 13 September 2016. ^ "Izbori 2016 - Rezultati" (in Croatian). State Election Committee of the Republic of Croatia. 2016-09-16. Retrieved 2016-09-16.